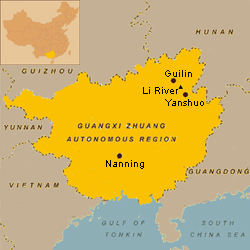 Guangxi Zhuang Autonomous Region is located in the southern part of China and borders on Vietnam. Its topography is basin-like and the limestone distribution occupies half of the area what makes its landscapes unique and its natural sights gorgeous. The probably most famous city of Guangxi is Guilin, known for its limestone peaks and beautiful landscape. Along the Li River to Yangshuo it offers picturesque sceneries and fairytale images. 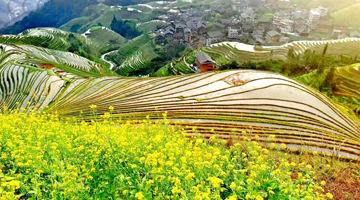 The Dragon’s Backbone Rice Terraces in Longsheng and the Chengyang Wind and Rain Bridge in Sanjiang are not less impressing and the small ethnic minority villages along the Terraces give them a pretty and peaceful atmosphere. 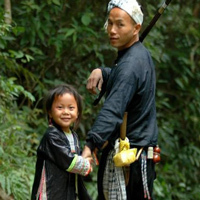 Besides the Han nationality there are ethnic groups of Zhuang, Tong, Miao, Yao, Maonan, Yi, Shui and others.